Happy Canada Day long weekend! 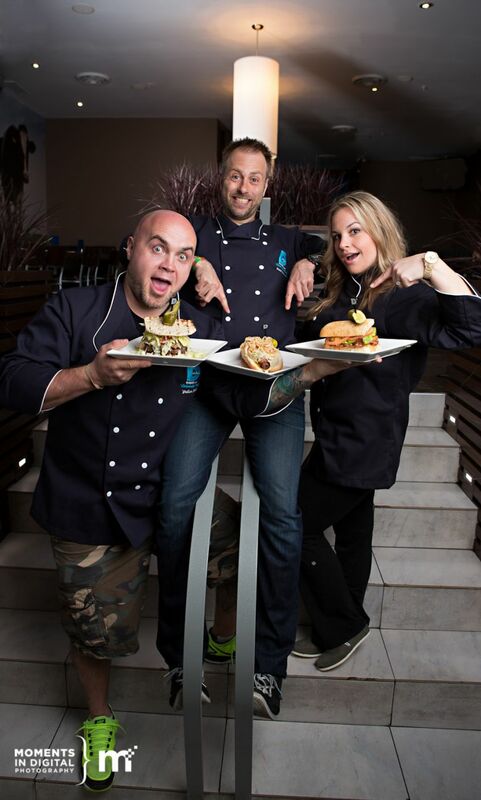 July is here and that means it’s time for camping, long weekends, BBQs, patios, and another instalment of the Delux Burger Celebrity Chef campaign. 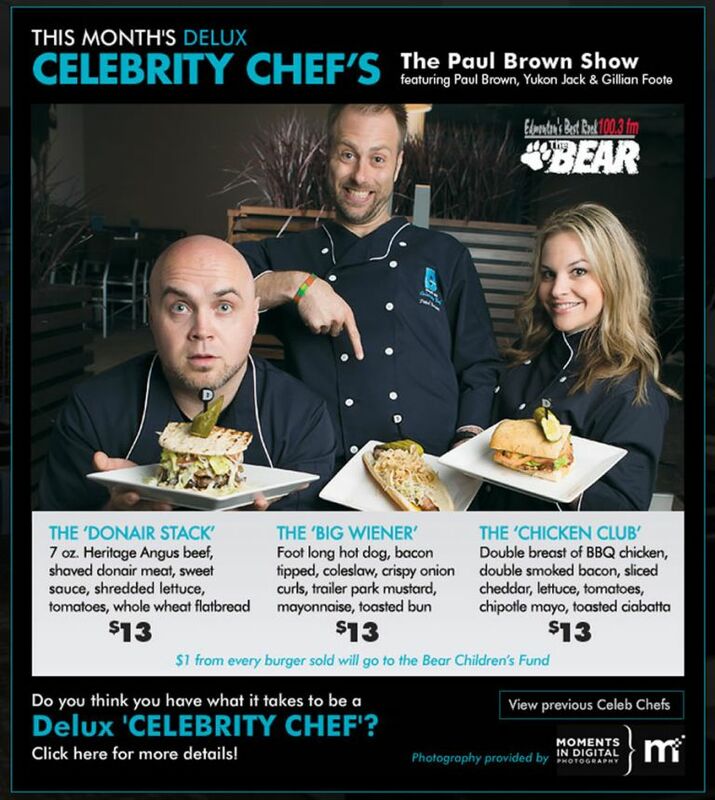 This month’s Celebrity Chefs are Paul Brown, Yukon Jack, and Gillian Foote from 100.3 The Bear. 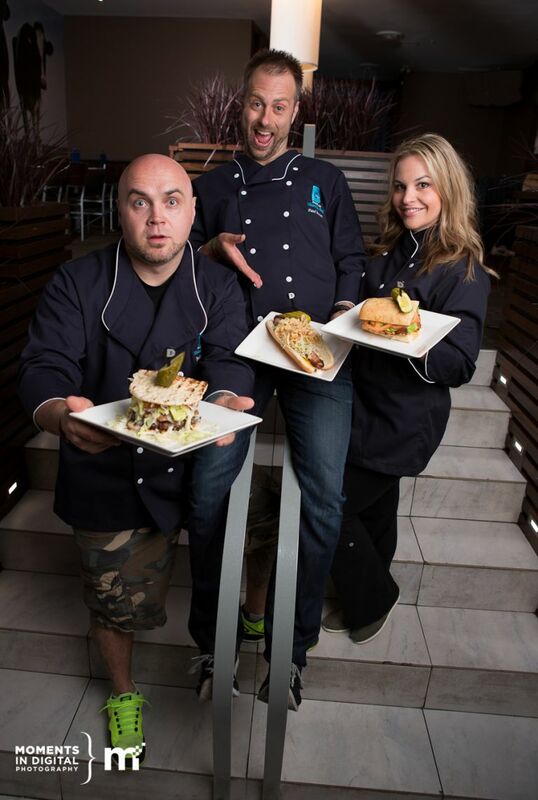 The trio make up the station’s morning show and they’re offering up a trio of creations to tempt yourÂ taste buds. Paul Brown’s creation, ‘The Big Wiener” Â is a foot-long hot dog, bacon tipped, topped with coleslaw, crispy onion curls, trailer park mustard, and mayo on a toasted bun. Yukon has combined the great flavours of a classic donair with a hamburger to create the ‘Donair Stack’. Yukon’s burger features a 70oz Heritage Angus beef patty, shaved donair meat, sweet sauce, shredded lettuce, and tomatoes on whole wheat flatbread. Gillian Foote went with a ‘Grilled Chicken Club’ feature a double breast of BBQ chicken topped with lettuce, tomato, double-smoked bacon, cheddar, and tangy chipotle mayo on a chibatta bun. $1 from every burger or hot dog sold will support the Bear Children’s Fund. I had previously photographed both Yukon and Gillian before so it was nice catching up with them again. Yukon was the MC for the Alberta Government Head Shave for Cancer and Gillian participated in the Dancing for the Kids event a few years ago – both of which I photographed. 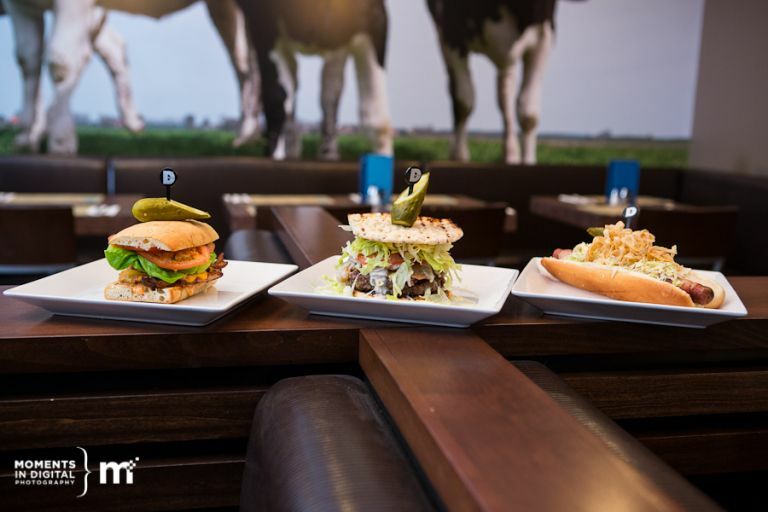 Here are a few of the photographs that we created at the Delux Burger Bar in West Edmonton Mall to promote their creations during the month of July.